Welcome to my second income report in a row! I write these posts for 2 reasons: first, to hopefully educate and inspire you for what is working in my business. And second, to help me reflect on what I've accomplished or what I should be doing better. I'll be quite honest with you, I get nervous about publishing these income reports each month. All month, I get a little anxious that my income will go down and I'll have to face the collective disappointment of the Niche Pursuits community. 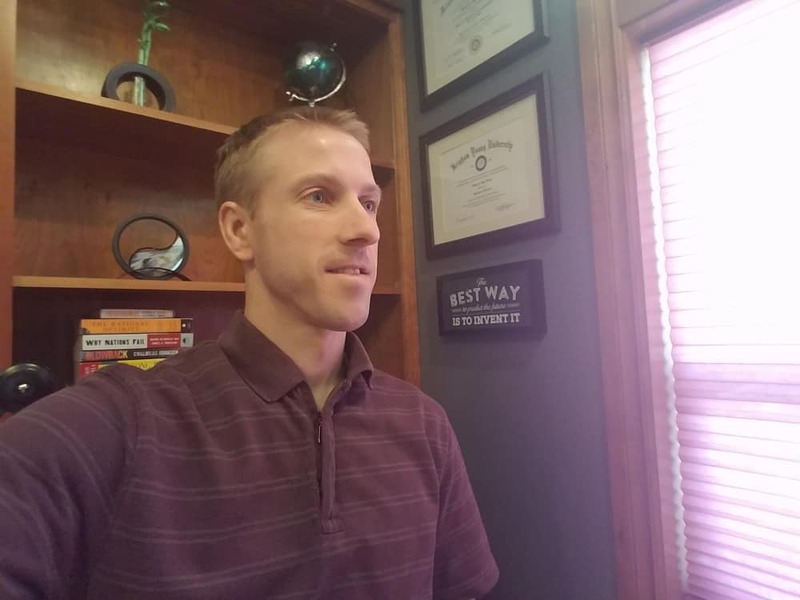 Since I started the tradition of taking a “selfie” right before I publish my income report last month, above you will find my deep in thought picture for the month. You can slowly watch me age each month. Anyway, let's dive into what happened in March! During the month of March, I had the chance to attend not one, but 2 different business conferences. The first conference was Traffic and Conversion summit in San Diego put on my Ryan Deiss and the crew at DigitalMarketer.com. This is my 3rd year in a row to attend, and I really enjoy it. There are some high quality content sessions, and as far as networking with great attendees, the conference can't be beat. I brought my employees along with me; Jake Cain and Jason Wilson (more on Jason in a minute). We had a great time hanging out and chatting business for a few days. I also got to meet up with Jon Haws (my cousin), Chris Guthrie, Steve Scott (self-publishing expert), Nick Loper, Matt Paulson, and tons of other great people. Then at the end of March, I attended a much smaller event down in Valle de Bravo, Mexico with the Wired Investors team. This was a much more laid back event with a session or two in the morning and then the rest of the day to explore Mexico. We played paintball, went mountain bike riding, and played sports. And of course I was able to get up early each morning and get my running in. I had a blast! I mentioned in my last income report that I had hired a part time brand manager for my home goods brand. Well, that part-timer is now a full-time employee and he just quit his corporate job of 14 years! Everyone please give a warm welcome to Jason Wilson, the newest full-time member of the Niche Pursuits Team! Jason will also be working alongside Jake regarding some things for Niche Pursuits as well. 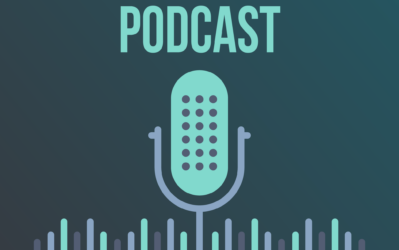 So, you can expect to hear more from Jason on podcasts and in a blog posts every now and again here on NichePursuits.com. Jason is actually someone that I worked with at Wells Fargo over 10 years ago. We've stayed in touch, and I introduced him to niche sites a few years ago. He's built a few sites and currently has one monster site earning between $3,000 and $4,000 a month! So, not only is Jason an incredibly hard worker, he's also someone that is now very knowledgeable when it comes to niche sites. 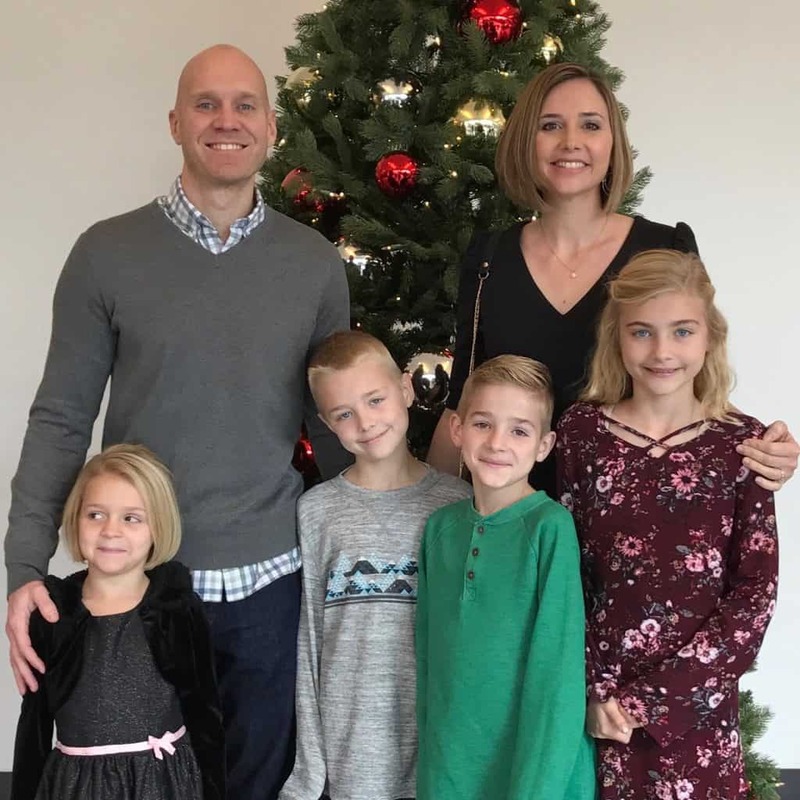 Jason is also a family man, so I'm super thrilled to give him the opportunity to quit his corporate job, work his own schedule, and have the chance to see his wife and kids much more often. 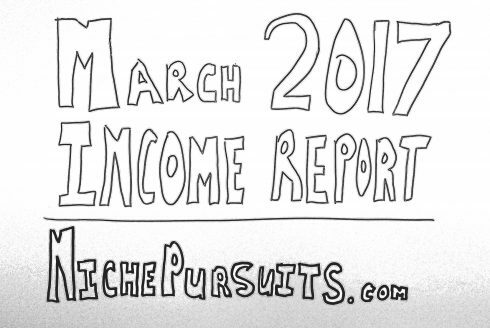 Like last month, I'm starting with the income report for this very site, NichePursuits.com! This is only the second month that I've ever revealed the income that I derive directly from this site. Please note: *Gross Profit is the profit after all costs of good sold. So, for any Amazon FBA product sales, I've already subtracted the manufacturing costs, returns, shipping costs etc. However, this is not a net profit number…to get that, I'd need to subtract out salaries, software expenses, etc. As you can see, the income for Niche Pursuits increased by about 1,200 this month! 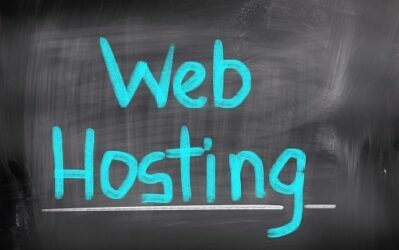 The biggest increases came from Bluehost, Jungle Scout, and Thrive Themes. I'm happy to have an increase, but the potential for Niche Pursuits is significantly higher. I've already started a plan to increase the earnings of this site and Jake and Jason are helping me out. This includes better tracking of where clicks and sales are coming from, more in-depth blog posts, and overall optimization of the site. I'll share more details in future months as some of the experiments get implemented and we see real progress. *The Ebay and Amazon UK sales are new figures. Even though we have been selling on those platforms previously, I neglected to report those last month. So, while these are the revenue numbers for these categories, they didn't actually increase as much as it would seem. Overall, it was another solid month for the Home goods brand! I'm very happy with a business that does over $19,000 a month in gross profit. This is the brand that Jason manages, and he's been busy at work. The traffic had taken a small dip a couple of months ago, but through some optimization, new content, and outreach, the site is now essentially back to where it was before. The increased traffic has lead to a nice bump in both Amazon associates earnings and Google Adsense earnings. The other thing of note is the change in Amazon associates commission does not seem to have effected this site much at all. 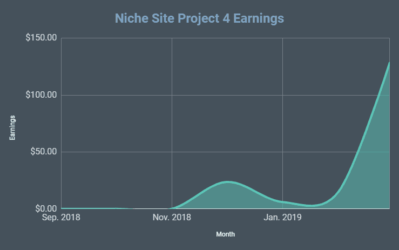 The earnings are actually up for this site, and so with the first full month in the books for the new payout structure, I'm happy to report almost no impact. Amazon Product 3 is down because we ran out of stock. We will have it back in stock hopefully by the end of April. I wish I could somehow sugar coat the performance of this brand in March; unfortunately, it just wasn't a good month. The only thing that increased was Google Adsense by $11, ouch! However, I can explain the decline in the 4 Amazon products…giveaways (using Jumpsend). At the beginning of March we gave away a ton of product at a discount, which obviously we take losses on. So, I fully expect that April will look better because we won't be doing any giveaways. However, the products are not exactly flying off the shelves either. The good news is that I'm excited about 2 new products that we are launching for this brand. It's possible that they will be shipped to us before the end of April, but May will really be the month where we hope to see some big improvements with these new products. During the month of March, we made significant changes to this website. During February, we were testing sending all our traffic to our Amazon listings to see if it improved conversions. It did not appear to help at all. So, we updated our Shopify theme and put together what I think is an amazing looking ecommerce site. We still have the products listed on Amazon; however, for all visitors to our site, they purchase right on our ship through Shopify. So, even though the results in total earnings is not drastic, you will see that we finally got some Shopify sales, and we are geared up for a good April. I have a part time brand manager working here, and we are going to start doing more Facebook advertising. I expect good things in future months with this paid traffic. Jake continues to manage the “Amazon Incubator”, what I call all of our random products that we sell on Amazon that don't fit into any of the above niches. Overall, the earnings here are up by $853, so I'm happy with that. This is primarily due to “Product 13” finally getting back in stock during March and doing well. We do have one other product currently out of stock, that should be back in stock soon. For the “incubator” we don't have any plans to launch a bunch of new products in the near future. We are mostly going to focus on what we already have and try to grow those individual products or brands. I also sold a website that I was a 33% owner of. This website was one of the “Investment websites” in my Undisclosed Income below. The total sale was $30,000, so my take home portion of that sale was $10,000. So, if I add in this one-time revenue, then the total income is $39,126. Overall, I'm satisfied with how March went. Overall, March was a good month with some nice increases for some brands, but also some road bumps for others. Some days I feel like dealing with Amazon is a complete nightmare. We get hijakers, or product titles that randomly change, or listings closed temporarily…it's a headache! On the other hand, the traffic and sales are tough to argue with. In addition, I have a couple of projects in the works that are taking up some of my time. I hope to reveal at least one of these projects in the next couple of months. Have questions? I would love to hear your thoughts in the comments below. How to Stay Focused and Avoid Shiny Object Syndrome? Wow, that’s amazing, just thinking about making that much is crazy. At the moment I’m putting a lot of effort on my blog, my goal is to make a living from my site, like you. Once that is done, I will have the possibility to explore other things like FBA and such. Anyways post like this shows it is possible to do a profitable online business by putting a lot of work and efforts. Thanks Giovanni, I hope you make it full time someday. Thank you, I will work hard to achieve it someday! Thanks for the warm welcome Spencer!!! Looking forward to some amazing things this year! Holy Cow ! Talk about success ! I’ve been following your blog for over a 6 months now, and it’s really one of the best places to start as a newbie. I myself have launched my niche site in January, but haven’t had the time to build links yet with my full time job + another side project. Keep it up Spencer ! Every month, i read your income import. I realy love it. Can you help me to earn like you? Thanks Prabhat! Read my blog posts, that’s the help I provide. You are my first actual confession that I see online of a revenue dip. I myself was intent on Niche A, done the keyword research and preliminary niche research on this niche, but decided to put it aside. I am now researching for a higher paying niche from amazon categories payout structure. It has been interesting and feel my niche research has actually improved in the process. Just thought I would add my two-sense in relation to your comment. Thanx again! Hi Dan – you’re welcome, and glad you found some use in my post. Yes, it was disappointing to see the income drop by half, but even now, it’s still equal to what I make in my day job. Any way you look at it, my family is blessed. Hang in there. It sounds like you’re using the Amazon change to focus your keyword research, and I’m sure you’ll see profits from your work. As Spencer has noted, you’ll want to plan for the long term in whatever you’re doing. And don’t forget to save at least some of what you make along the way! Sorry to hear about the drop Mike. You still have a solid site though. I appreciate it Spencer. I’m using this site to test out some ideas, but my main site was largely built a few years ago from the many tutorials you’ve shared here. And that site basically paid off our mortgage and then some, so I’ll always be grateful to you for putting all this information out here for everyone to learn from. First comment after following many months. Link to Inventory Lab: Amazon Profit Tracking Software and PointBlankSEO Link Building Course is pointing to the same page. After clicking it shows not found. Looks good! You certainly seem busy. Yes I have a question – I see you have hassles with Amazon fakers etc. but have you ever had click fraud on your AdSense sites? I found out I was getting a surge in invalid clicks, so I’ve now taken AdSense off the sites affected. At one point 75% of my clicks were invalid. Sure, Google knew it was fake, but it was quite a sophisticated attack (multiple IP’s, countries etc.) so was harder to spot compared to phpBB forum spammers. My sites are quite small, but it looked like somebody was trying to drive me out of business. I’ve had issues with click fraud in the past, but not so much now. I still don’t know the best way to prevent it. Any suggestions from anyone? Welcome Jason. Looking forward to seeing your progress and follow new projects. @Spencer. Thanks for the income report. Very inspiring! Thanks for the welcome Chris! Looking forward to contributing to the group! Thanks for the transparency and the post Spencer! I want to make it out to one of those conferences and meet you one day as I’ve been following you for years now. I’ve built a six-figure business around your instruction and guidance! Quick question… what tables are those that you’re using in your blog post for your income report? Is it a table plugin or something you had programmed? If a plugin, then let me know because I’d like to use it! Jake, hope to meet someday! Wow, sounds like you’ve built a nice business. Maybe you can consider submitting your story here? https://www.nichepursuits.com/inspiration/. I am using Table Press plugin for all the tables. Someone besides gets on your amazon listing and undercuts your price or worse, sells counterfeits. I have been following you for years, and it’s amazing to see how you’ve grown from someone who makes small niche sites personally to be a powerhouse in the space. I know you were the first person who showed me the power of niche sites, and I bet you’ve literally helped hundreds of people at this point. In any case, thank you so much for sharing your journey with us and continually inspiring us to continue pressing forward. Spencer, it’s a great achievement for you :-). I follow your techniques and strategies every now and then. And your income report always provides me inspiration that I have to do lot more improvement in my work. Hi spencer, this is such a good inspiring blog post. I am a fulltime webdeveloper but trying to make it on my own in marketing. I live in holland so the business is a bit different since we dont have amazon. Although there are some nice opportunities similar to amazon. Congrats Spencer for such great success & investments you’re doing…. Spencer, Thank you for the great post. I enjoy reading these…it motivates me and also helps show the different potentials and directions that are available. It is amazing how all the small things add up to big numbers. Look forward to seeing you again at Steve’s Sellers Summit in Florida in a few weeks! Thanks Spencer! You have always been on of the most down to earth and honest people in this space online. Appreciate you, my friend. Wondering why you don’t put Amazon expenses and net profit? I saved $10k to invest in starting a FBA, but AMA afraid due to high risk and low rewards and might instead use the funds for my health blog. Also, I think you are missing “NicePursuits” as an income title and have HomeGoodsBrand instead for that and the FBA income. Just wanted to point out because it was confusing at first read. Hey Nick, thanks so much for the kind words! I don’t list out the expenses, but the expenses are already subtracted out. The FBA income you see is already minus all manufacturing costs, returns, fees, etc. Its a gross profit number, with the only major thing not taken out is salaries. (Minus what I pay myself and employees would be net profit). Also, I think all the titles of my charts are correct, let me know if I’m still missing something. Thanks for the clarification Spencer! I am seeing the chart issue (still) on the Feedly app in iOS. But the chart titles look correct on my Desktop. Ok, that does explain it. At first I did not have the titles…feedly must have picked up that version. But fixed shortly after publishing. 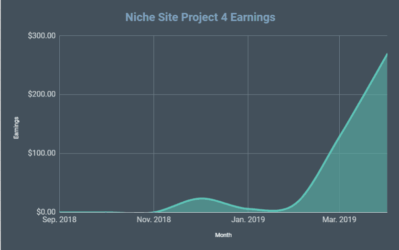 It’s interesting to see that you seem to have moved away from Amazon niche sites, do you think they are getting more difficult to achieve earnings from now that competition seems to have boomed? Its not so much that I’ve moved away from, I just now monetize them by selling my own products because its much more profitable. If you were starting today, would you enter the Amazon FBA space as a complete beginner? I’ve been fascinated with the idea for about a year now, learning so much through your podcasts. Unfortunately, like most people, that fascination has not led to action. I’m still toying the idea with this space, but my concern is the large level of competition and also the new restrictions put in place by Amazon. If you have a “somewhat” unique idea, then yes. But if you are just putting up an exact replica of dozens of other listings, then no. Thank you very much for sharing your financial report. It is very encouraging! I hope one day I will be able to earn some money online. At the moment I am busy trying to build links to my site. A warm welcome to Jason. I hope you will enjoy working at Niche Pursuits. I wish you all the best! This is probably an off-topic question. I’m in the process of hiring a VA so that he can manage my writing/editing team. The VA would be sending tasks to my writers and editors and he would also need to pay the writers. I’m using upworks for all my freelancers but I don’t think there is a option to allow VA to pay other members on your behalf. Do you usually set up a pre-pay credit card for your VAs to manage these sort of stuff? If they have access to your upwork account, then they should be able to pay from within Upwork. (You just need to setup the payment information in upwork first). Those are really motivating figures for someone as new as me. Love seeing these reports & the authenticity. I’ve been selling a few items on Amazon since summer 2015. I have one solid winner that is on track to make about $20k profit this year. The others haven’t really taken off as much, the neat thing is that I have never really lost a bunch of money on a product – sometimes they just don’t take off enough and you have to drop them and move on. But I still love the process of trying new products, branding them etc. I have tried making niche sites a few times and can’t seem to hang in there long enough during the early stages to get traffic. But since I’ve got this one great seller on Amazon, I decided to try the website thing one more time since I’ve got an added motivation – which is selling my Amazon on my own website eventually. Good luck for next month! Good Stuff. 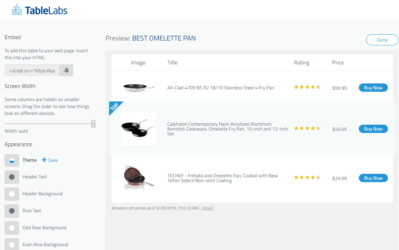 I just got into the ecom business in February after doing affiliate marketing for 17 years. Ecom is a whole new game but very profitable. So far I’m loving it and can’t believe I waited so long to join the club. You are making a good amount of money. Keep it up & earn more.